DTH TV DD Freedish soon encrypt in MPEG4 to add new TV channels. Since its start, DD Freedish free to air TV service was the only free DTH in India. 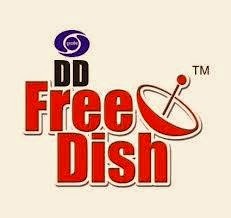 With 18 million subscribers on the platform, DD direct plus later named as DD freedish plans to soon encrypt the signals for the future addition of TV channels. With over 60 channels on the list in MPEG2 format, Freedish future plans to shift to MPEG-4 compression technology to increase the number of Television channels to 110. In an exclusive interview with indiantelevision.com, Deputy General Doordarshan CK Jain said the auction for encrypted channels will occur in November with the launch of new MPEG4 type set-top boxes (STB). soon after we will add 48 television channels in MPEG-4 and MPEG-2 will remain 64. Those who buy MPEG-4 STB will see a total of 112 channels, including free MPEG2 channels. The extended version of Freedish both MPEG-4 and MPEG-2 also clearly seen for existing subscribers channels. DD dth currently has five transponders on INSAT 4B and will soon with the launch of new TV satellite, Gsat on 93.5E will provide extra transponders to add new television channels in MPEG-4 format. Jain expects the markets of the set top boxes Unit Phase III and Phase IV will gather Freedish worldwide. The MPEG-4 STB will be sold at a higher price than the current 1,200 rupees for MPEG-2 satellite TV receivers. But Jain said that given the opportunity to see multiple channels, he expects people to buy MPEG-4 boxes. Both boxes are available for sale through dealers. In November the auction for the 48 TV slots will take place. Broadcasters who want to be in band format MPEG-4 are required to submit application for the auction of television channels for DD freedish.